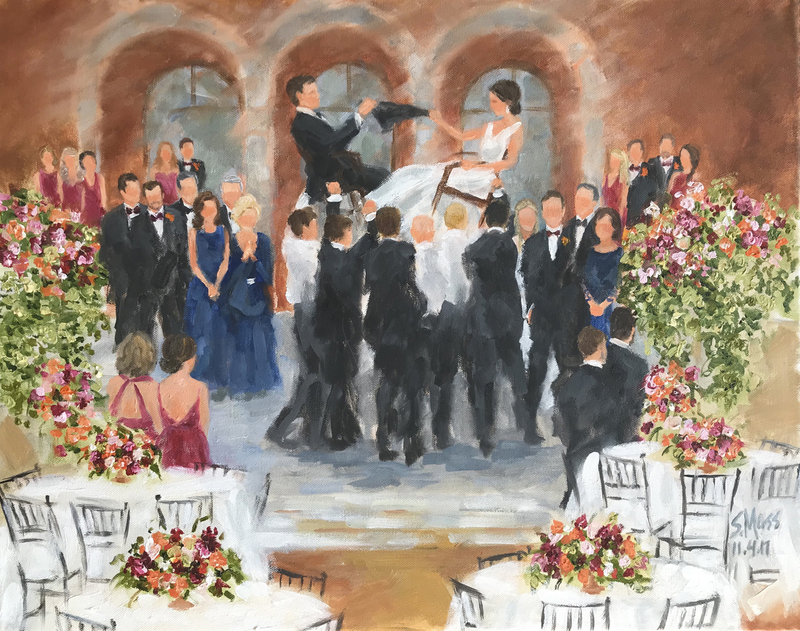 Live Event Painting is a unique way to capture special occasions on canvas such as weddings, receptions, birthday parties and corporate events. 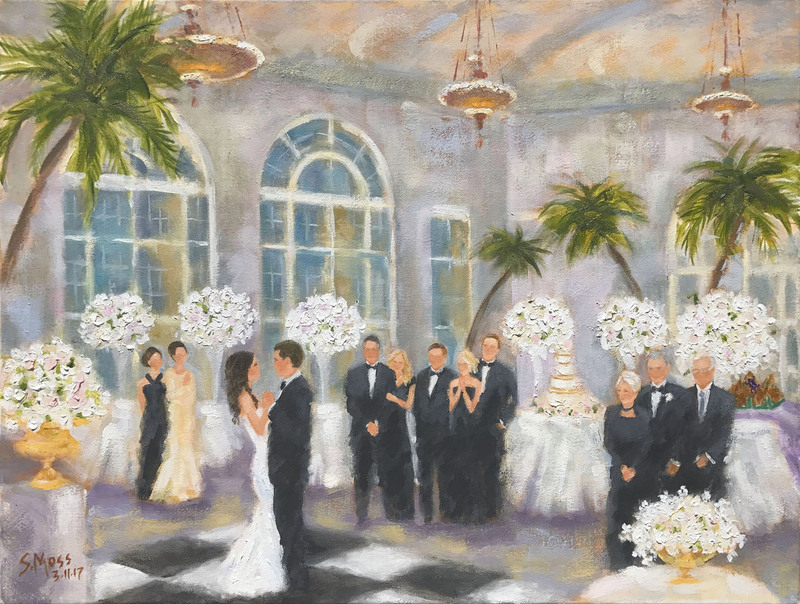 By having an artist at your event, painting the celebration as it unfolds, you add an elegant aspect to your soirée that will leave your guests swooning. 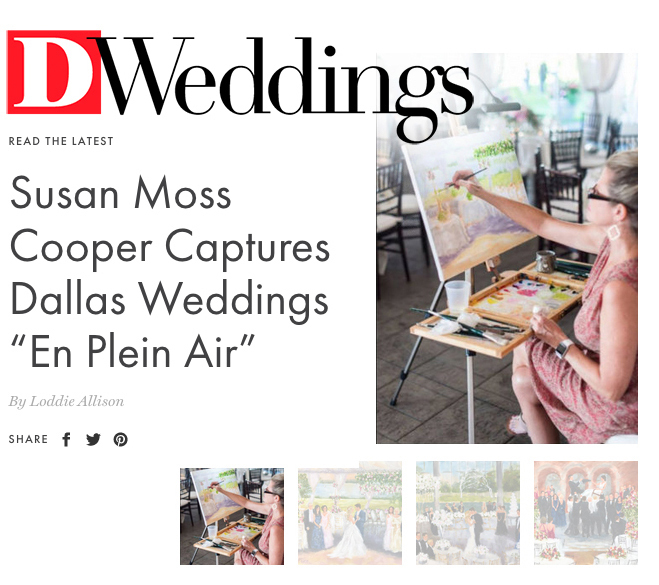 I still have many people at each event say they have never heard of this idea and they LOVE it! 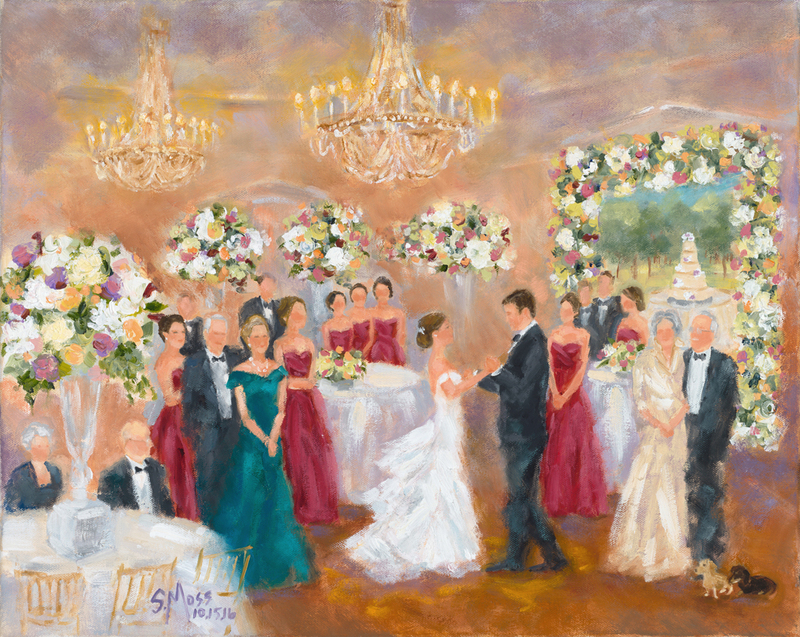 In addition, you receive a beautiful contemporary impressionist oil painting to treasure for years to come. 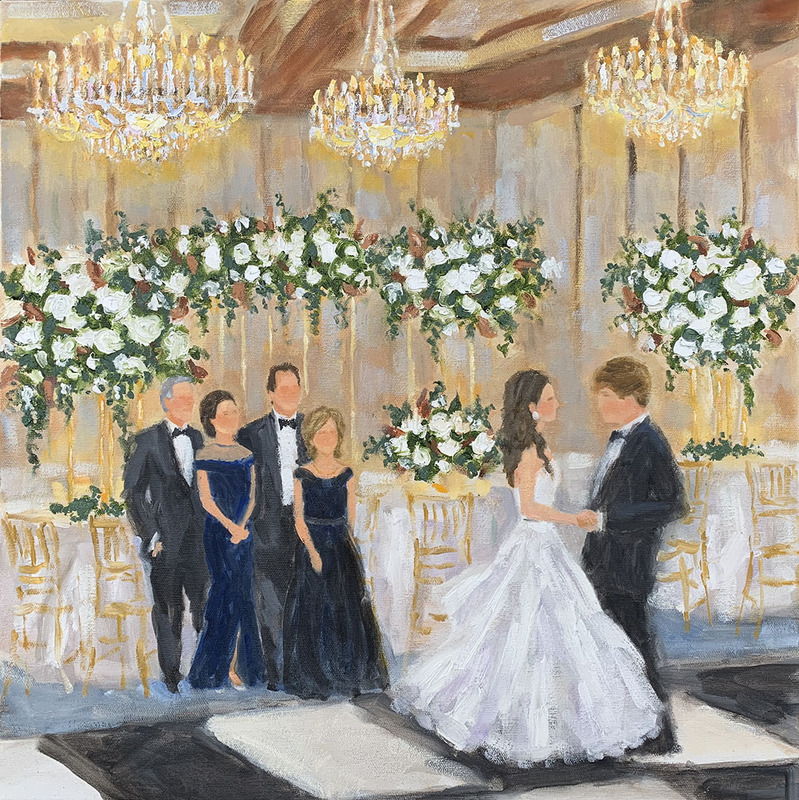 Before a live event painting commission, I discuss with my client the 'scene' they would like painted and its composition, as well as key people they would like included. 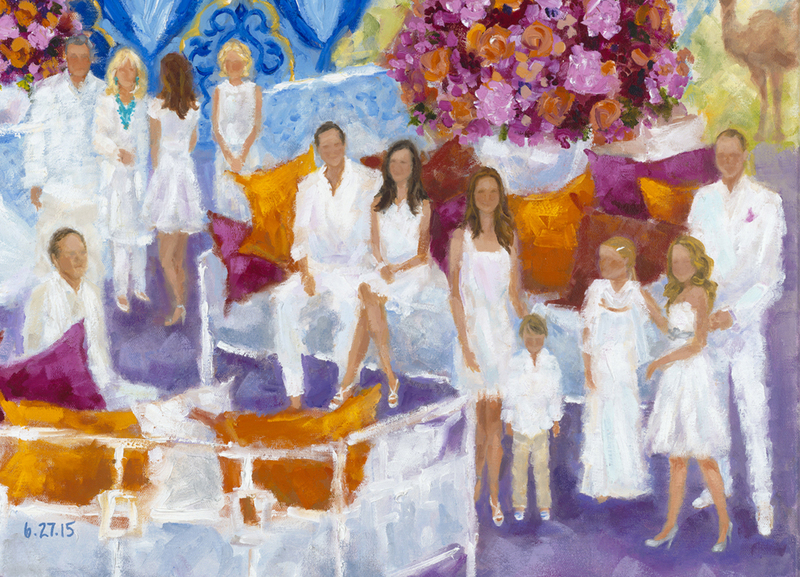 I arrive at the event early to set up and begin blocking in architectural and design elements, including floral. 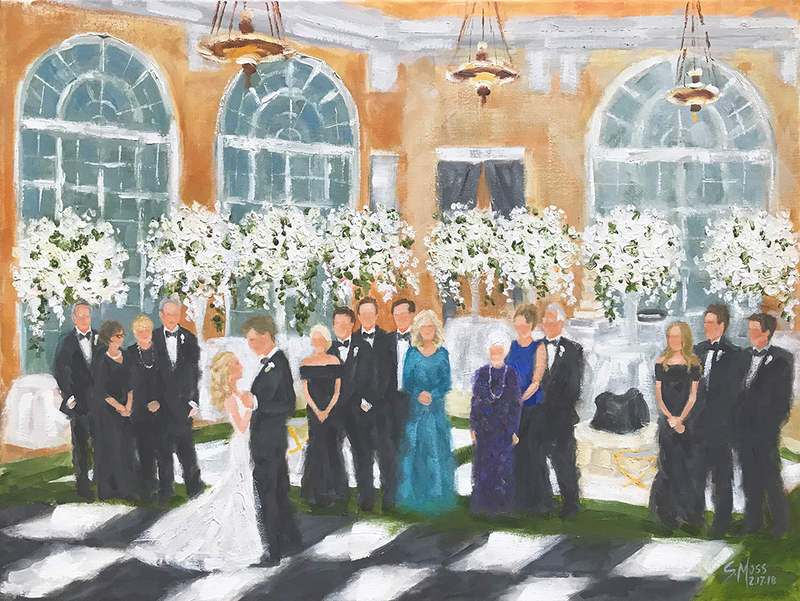 As guests begin to arrive, I start adding in figures. 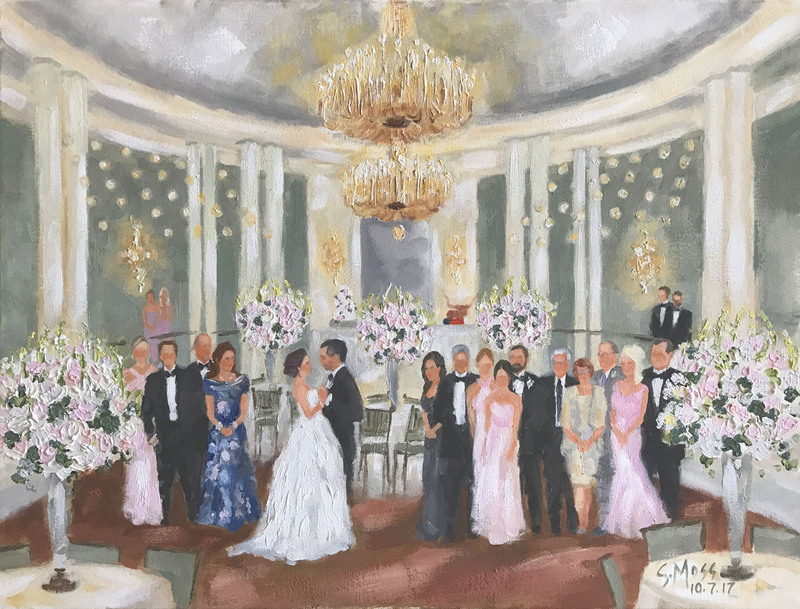 I paint throughout the evening and take photographs as well, so that I can get a good likeness for the figures in my studio. 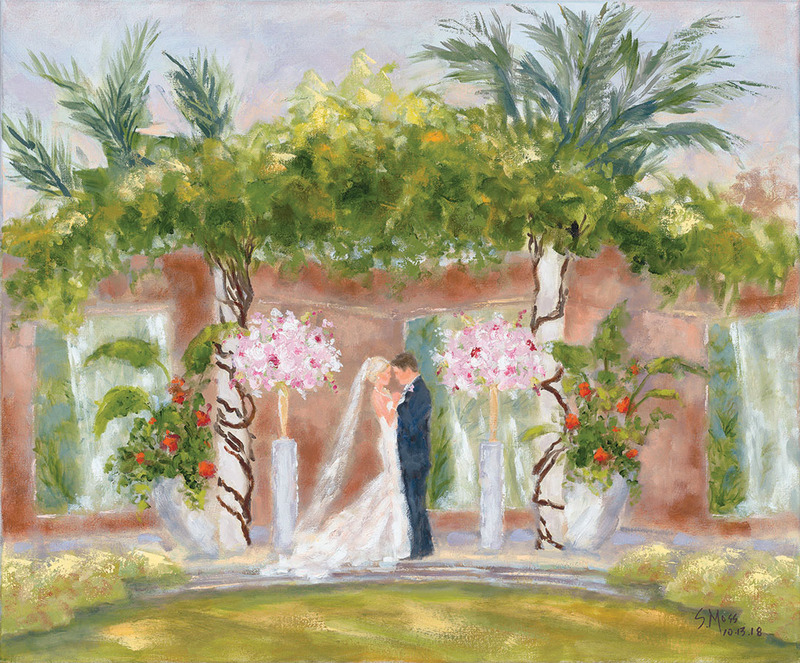 I use oil paints as opposed to acrylic or watercolor. 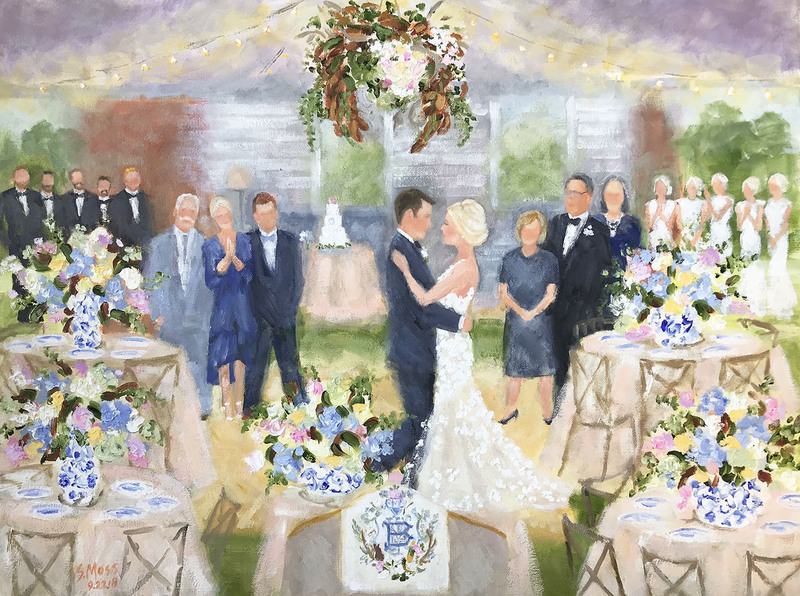 Other than tempera or fresco, oil is the oldest, most traditional medium of painting and allows for an exquisite, textured finish. 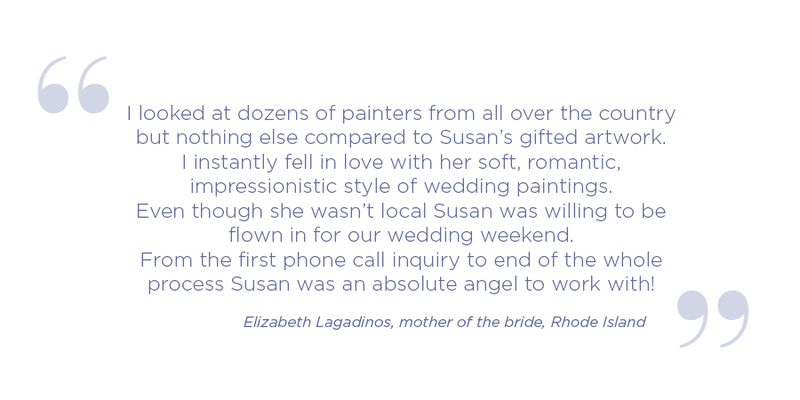 Oil paintings take several days to dry and achieve the most stunning results when applied in layers. 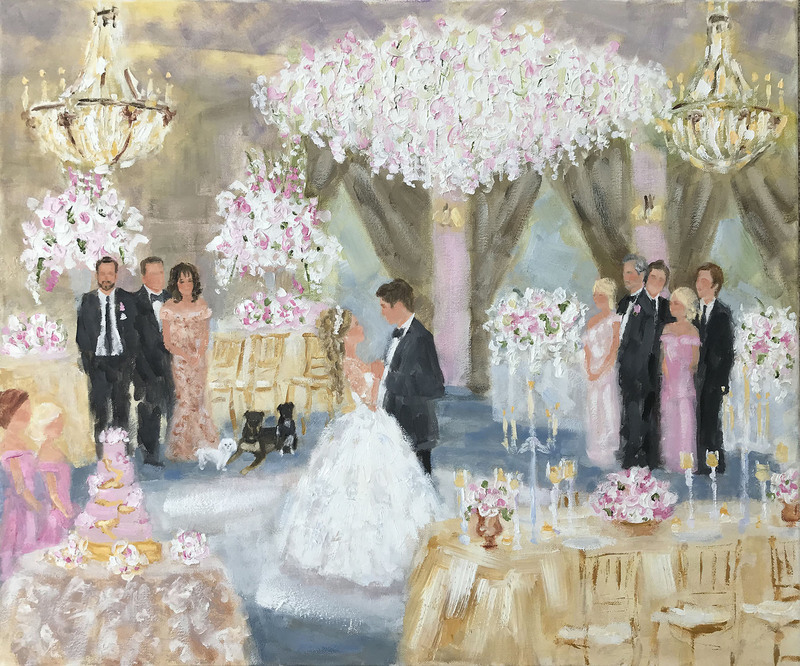 In my studio, the first layer from your event will dry and I will add several additional layers and details before it is finished. 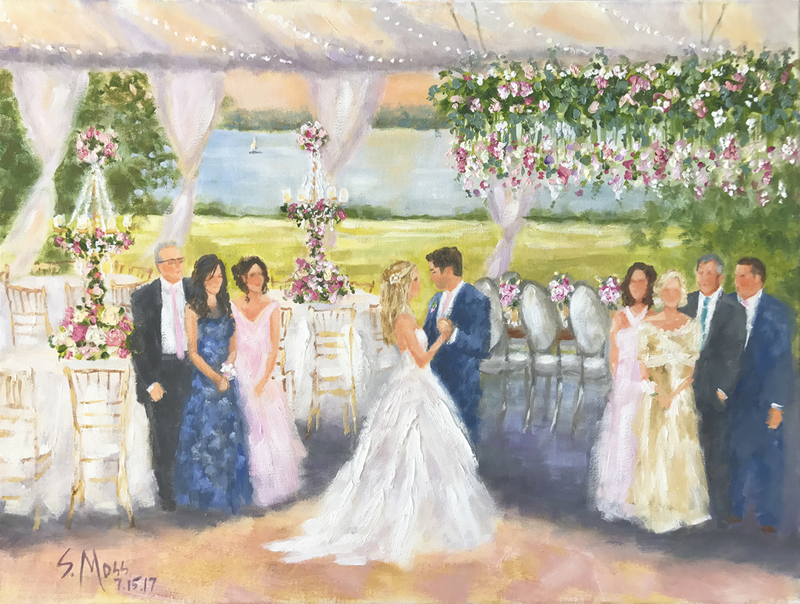 The first layer painted at your event is beautiful, loose and painterly, covering the entire canvas and could be a finished piece on its own. 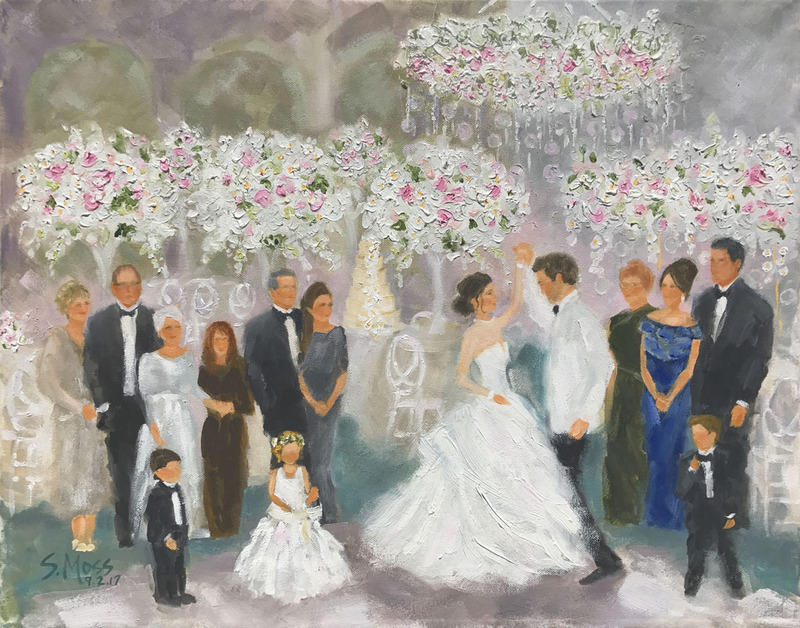 Who you decide to include in your painting is completely up to you, but some suggestions are both sets of parents, grandparents, siblings, children in the wedding and some or all members of the wedding party. 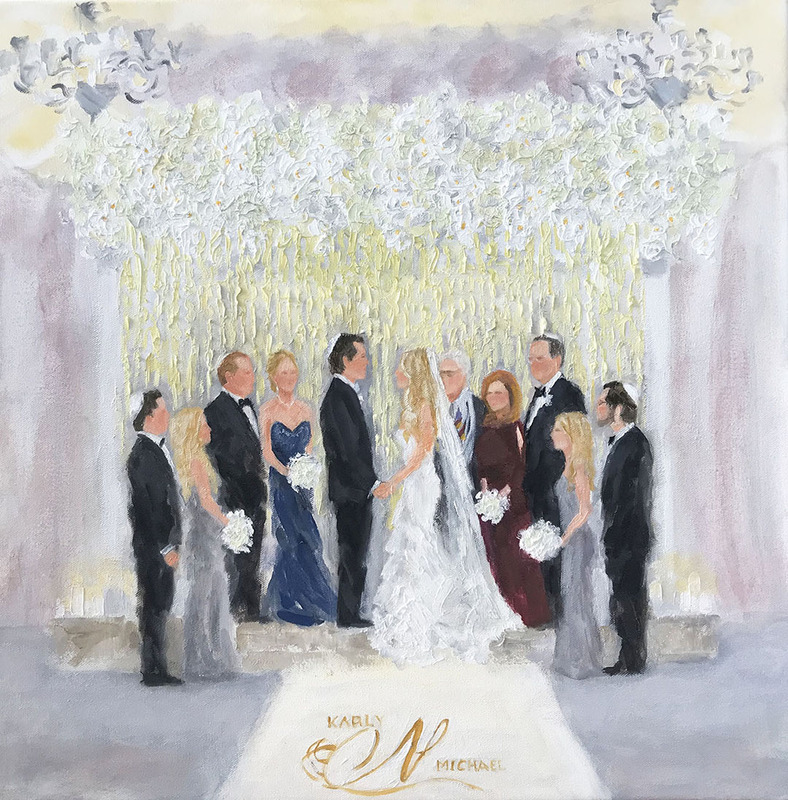 Many brides are keeping it simple and just including parents and siblings or even just a beautiful portrait of the bride and groom. 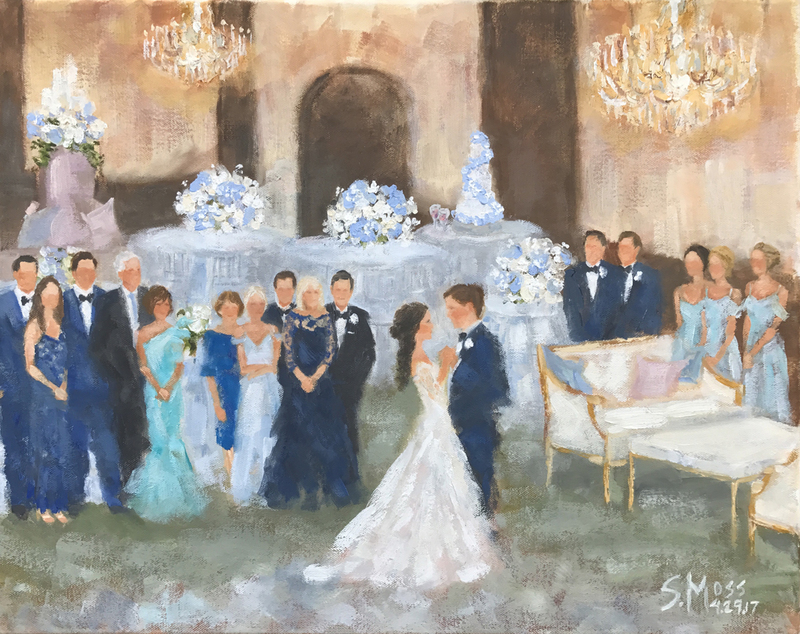 I am always open to new ideas, so please don’t hesitate to talk with me about doing something different with your painting. 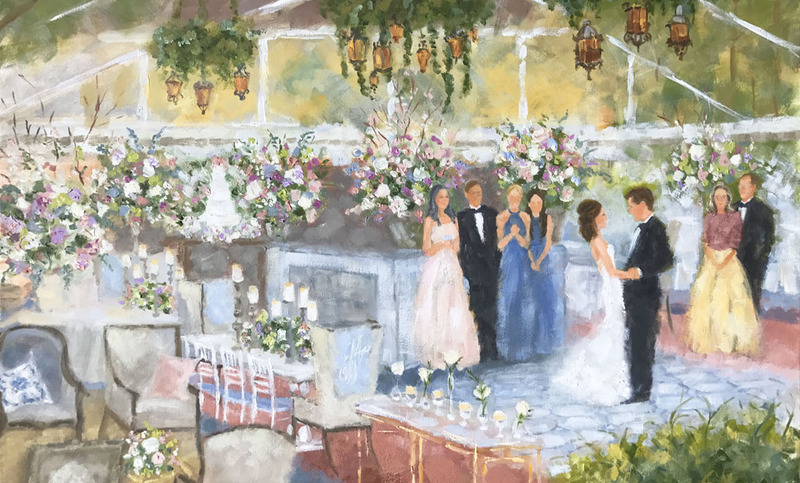 A few ideas could be a beautiful impressionist painting of one of your floral arrangements or bouquet, or a still-life painting of an exquisite table setting at your reception or even something that your guests can get involved with! 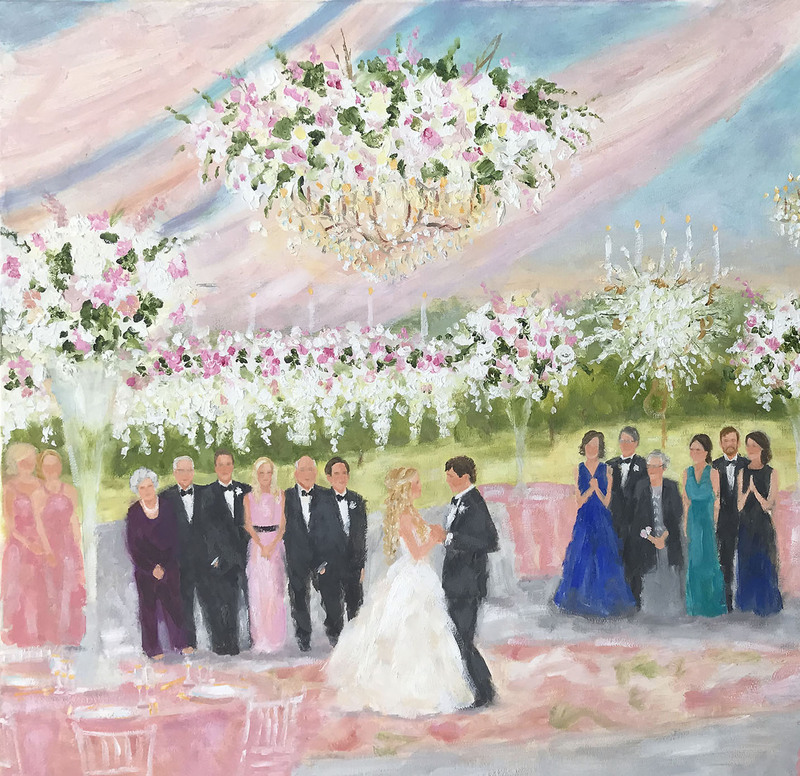 When incorporating art into your celebration, the sky is the limit! Starts at $2350. 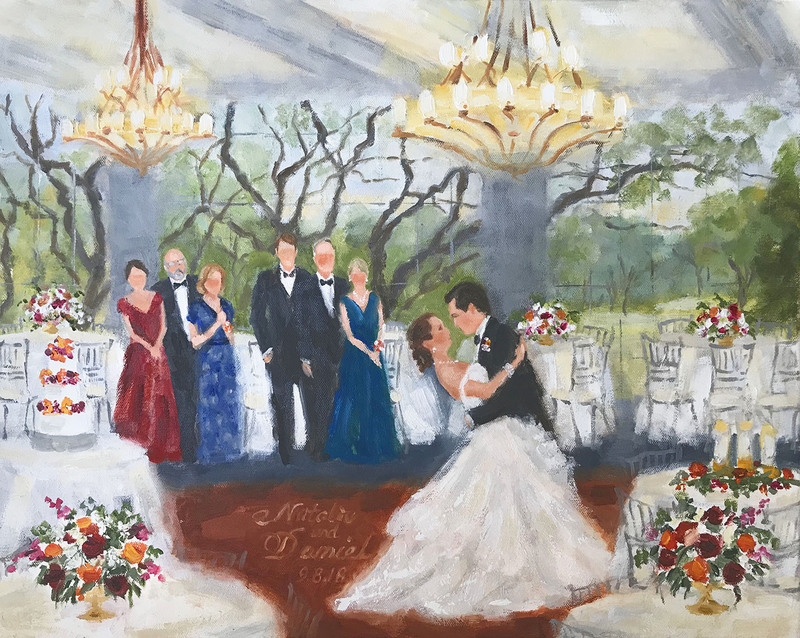 for 16" x 20" oil painting. Please call or email for additional sizes and pricing. Square shapes and gallery wrapped canvases are also available. 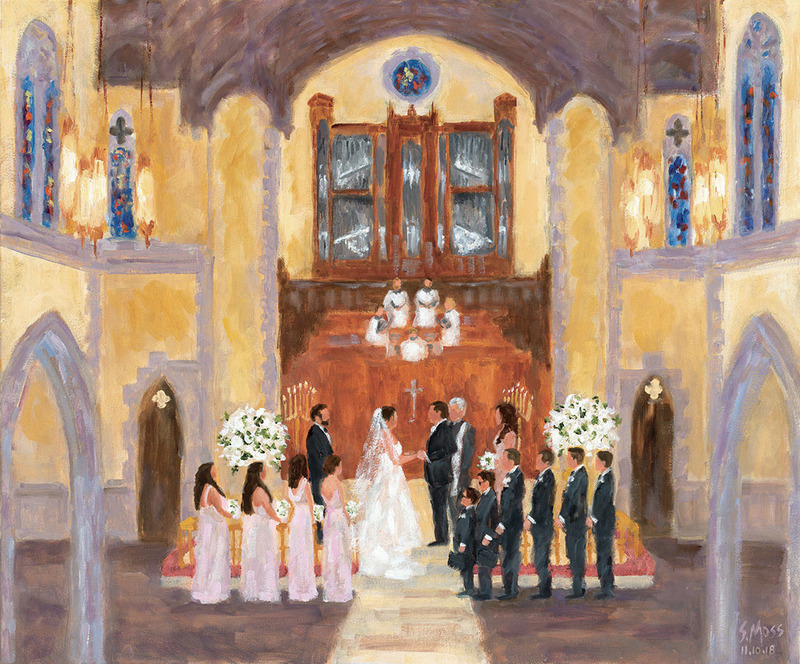 Once complete, you may choose to have notecards made from your painting. 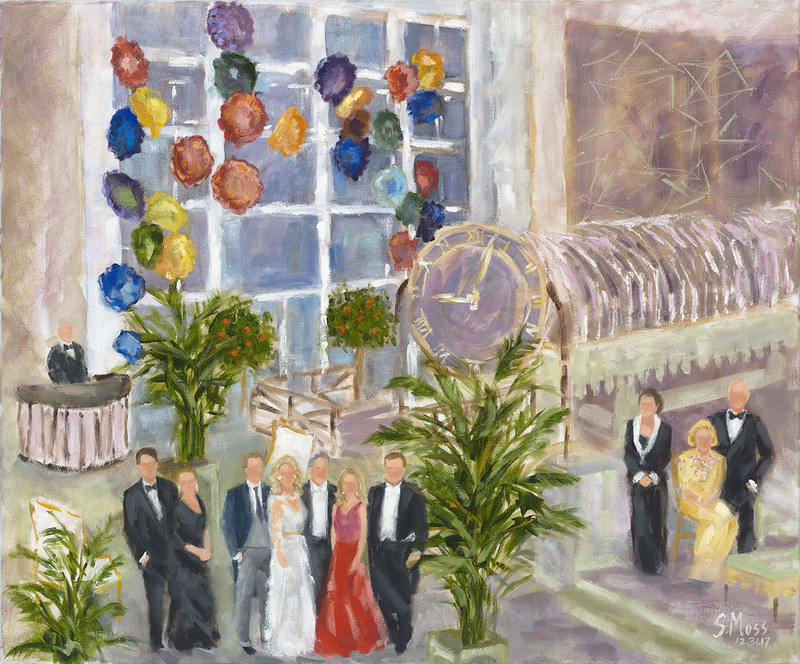 Giclée's or reproductions of your painting are also available. Please call or email for pricing. I am located in Dallas, Texas however, depending on the date, I may be available to travel. Travel expenses are additional to the package price and may include round-trip airfare from Dallas/Ft. Worth, rental car, and 2 night hotel accommodations. If the date of the event has already passed, I may be able to work from your photos. I request a 50% deposit to book your date. The balance is due one week before the event. 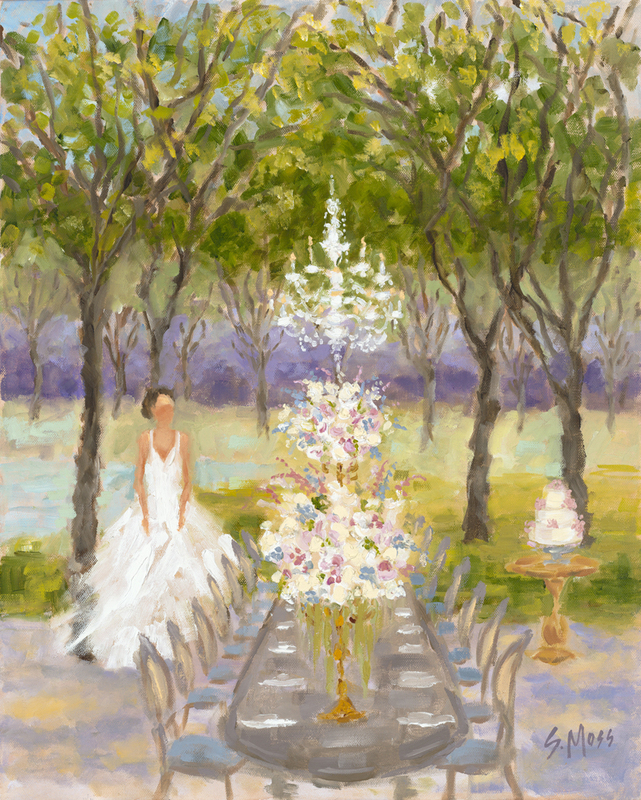 Contact me at susan@eventpaintings.com or 214-327-6648 for more information or to schedule your event. 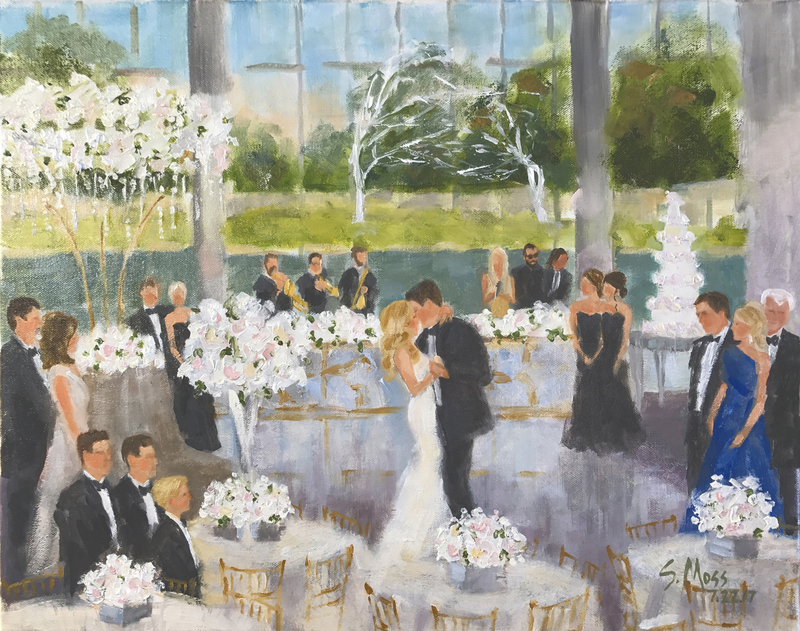 To see more event paintings by Susan Moss Cooper, click here.